PLEASE NOTE: I’ve remade/photographed these since. For the updated post click HERE. I always filled up on cookies before dinner. I grew up on these cookies. I’m sure my mom fed me the dough as a baby. When I was a bit older she’d always give me a taste of brown sugar when she was whipping up the dough. 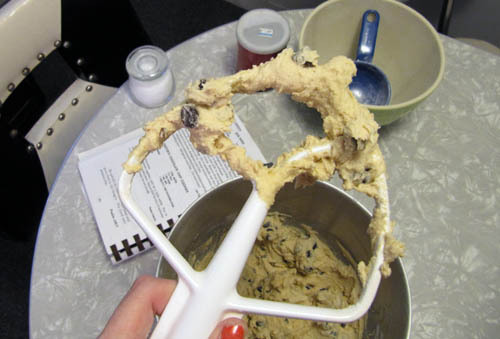 I also remember getting cookie dough in my lunch at school sometimes in a teeny tupperware. I know for a fact that now and then I’d open the fridge and there would be a spoonful of cookie dough saved for me if I arrived home post-baking… to say that these cookies are a big reason why I bake is an understatement. My mom’s pretty popular because of these cookies. It was rare to come home from school and not find these cooling on the counter. 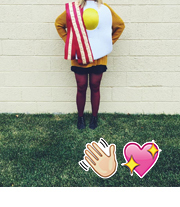 So basically, you should make these. They are a guaranteed friend-maker. My mom used to always make a double recipe of the one below, since I grew up in family of six. I made a half since I’m now in a little family of three … and one is Elliot, who of course can’t have chocolate. * The only adaptation I made was to use all butter. My mom is a half butter and half crisco cookie maker. So feel free to do that if you are of that persuasion. Preheat the oven to 350ºF. Line two baking sheets with parchment paper. Make the dough, f’sho. Using an electric mixer cream the butter and sugars together until fluffy. Add the eggs and vanilla. Mix until all combined. In a separate bowl, whisk together the flour, baking soda and salt. Add the dry ingredients to the sugar mixture and beat until smooth and everything is combined. Stir in the chocolate chips. Chill in the fridge for at least 30 minutes or over night. 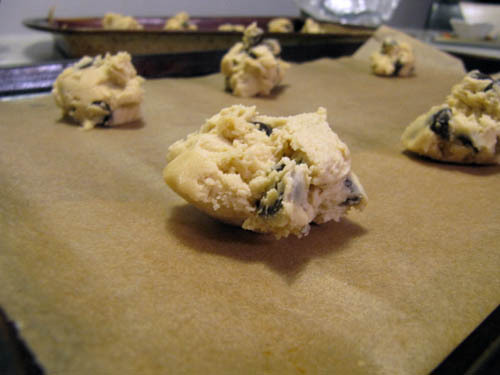 Place heaping teaspoons of cookie dough a couple inches apart on the prepared baking sheets. Bake for 8-10 minutes or until the edges are golden and the center is light still, but no longer shiny. 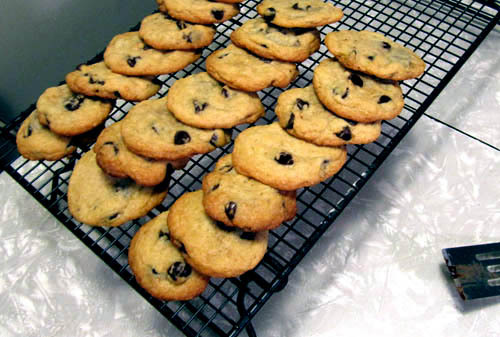 Remove cookies from the oven and transfer to a wire rack until cool. Eat a few while warm and then save the rest for later! Just spoil your appetite, already. Ok.. I am teary reading this.. what alot of memories.. I am SO glad they are happy sweet smelling memories for YOU.. I am missing you in huge amounts today ! 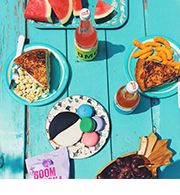 They are the happiest + sweetest memories, just like these cookies! Can’t wait to hang out and bake together next month. I made some cookies today in honor of your blog. I used the not very imaginative recipe of 1 egg + 1 cup of peanut butter (smooth of course, crunchy is downright dangerous) + 1 cup of sugar for 12 minutes at 350*F. They turned out good. Sally – you’re totally right! Our childhood goes hand in hand with cookie dough. Olsen! – I’m so glad you made cookies! Those sound tasty. And good call on the smooth peanut butter. Lora – make these now! Isn’t it funny how a mum’s chocolate chip cookies are always so simple to make, but if you don’t have the recipe so elusive and deceptive that they don’t come out right? You’re lucky to have your mum’s recipe (I have my mum’s too). 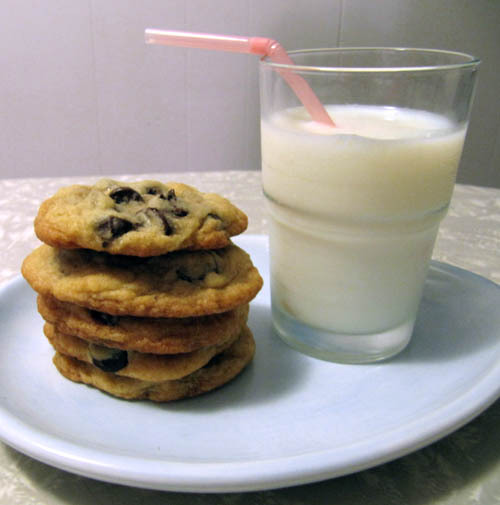 No other chocolate chip cookie lives up to the ones you grew up eating. You’re right! Mom’s just know what makes a cookie amazing.